June 21st marks the official start of summertime. Whoohoo! 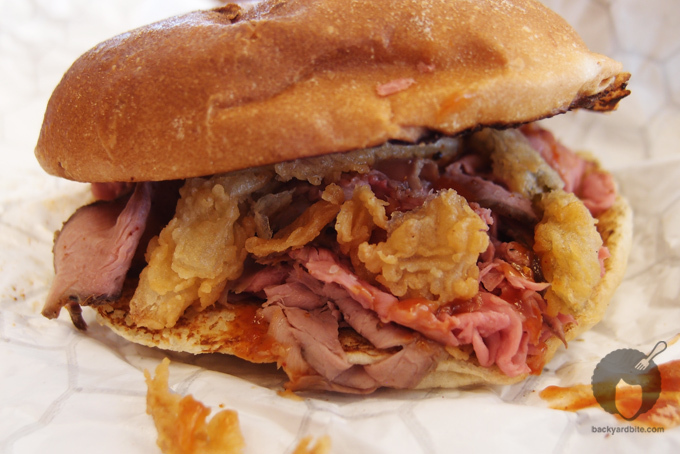 What could be more “summer” than a roast beef sandwich and a chocolate milkshake on a hot day? Oh, what’s that you say? BBQ? They got that. Onion rings? Check. Banana Cream Pie Custard Dessert? Yep. 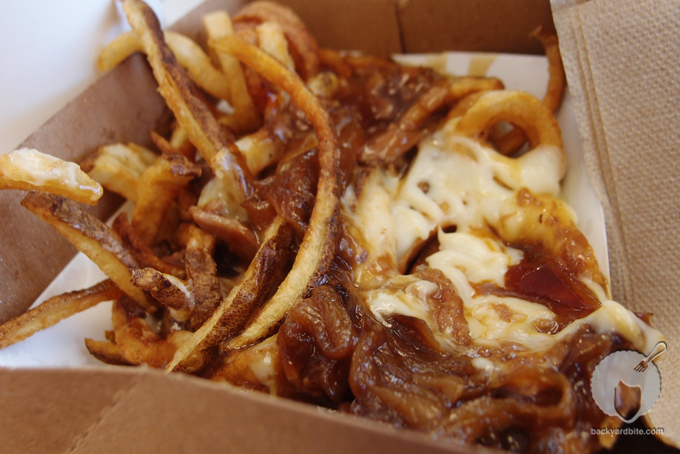 Curly Fries? Uh huh. Soda floats? They got all that too. 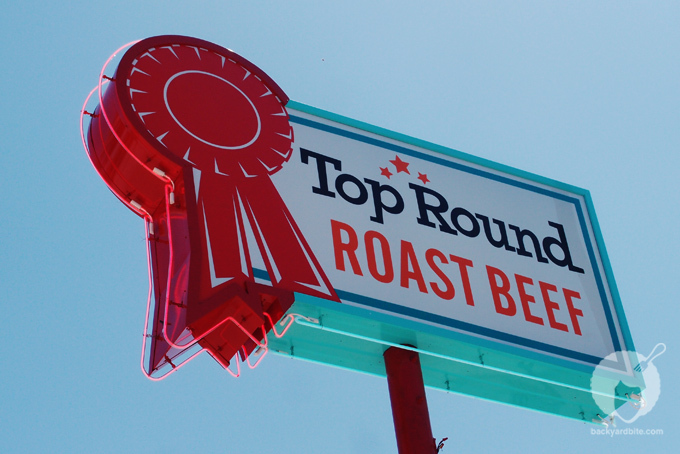 Welcome to Top Round Roast Beef. 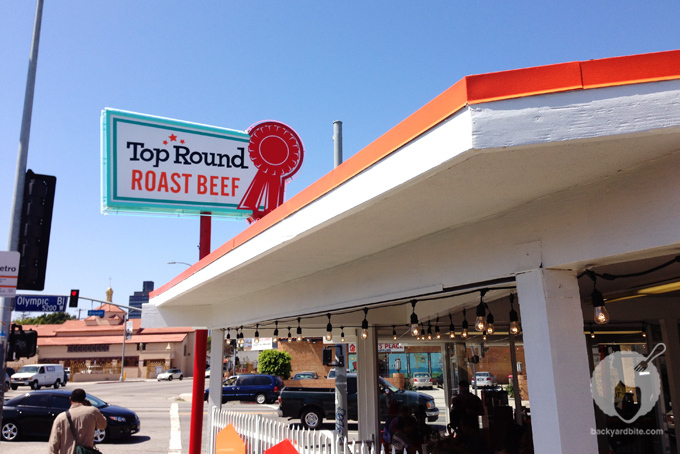 The sandwiches at Top Round are the kind of roast beef you might have grown up on or at least wish you did. 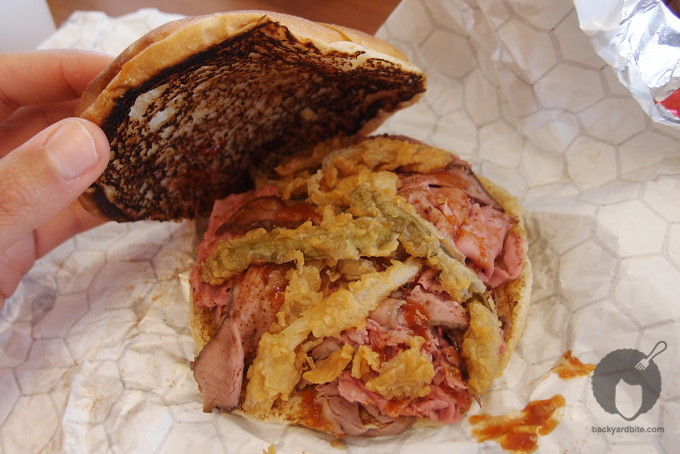 It’s true, every city has their own version of the oven roasted beef sammie. 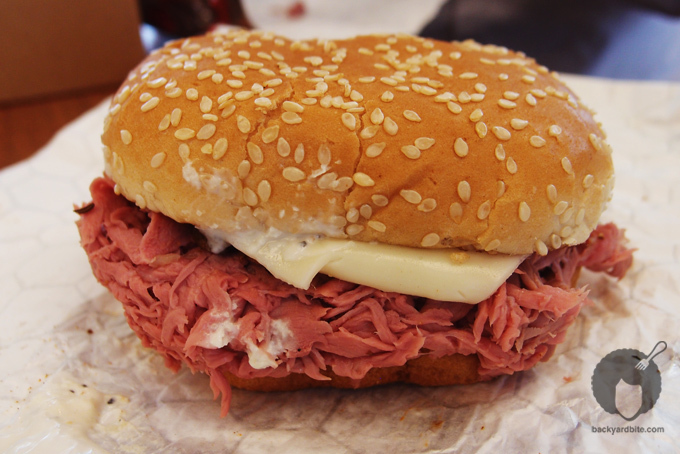 Personally, I never particularly liked going to Arby’s and I never really got into roast beef until very recently, but this place feels like the kind of classic joint I might enjoy, say on a sunny afternoon after a mid-day showing of Beetlejuice at the $1 cinema (that we snuck into anyway). A sheer guilty pleasure. Owners include Anthony Carron (800 Degrees Neapolitan Pizzeria), Noah Ellis (Red Medicine), Steven Fretz (XIV, Curtis Stone), and Jamie Tiampo (NYC’s dell’anima, L’artusi). A good collaboration of people who like to play with their food and they do it well. 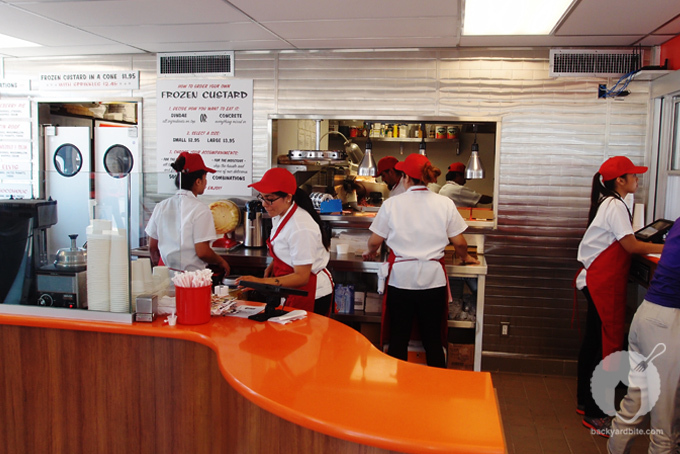 The vibe is new-old-school and there’s a throw back diner feel that almost begs for rollerskating waitresses to serve you in your car. Along with six different styles of sliced-to-order roast beef sandwiches, curly fries smothered in gravy and an insane(ly awesome) ice cream/shake/malt and custard dessert menu inspired by the St. Louis frozen custard shop Ted Drewes, going to Top Round feels like you left L.A. for a moment and went back in time to the 50′s. Never mind the fancy cars whizzing by on the corner of Olympic and LaBrea. It may feel a bit mid-west in it’s simplicity of menu. A word of caution, you may have a hard time ordering just one thing. 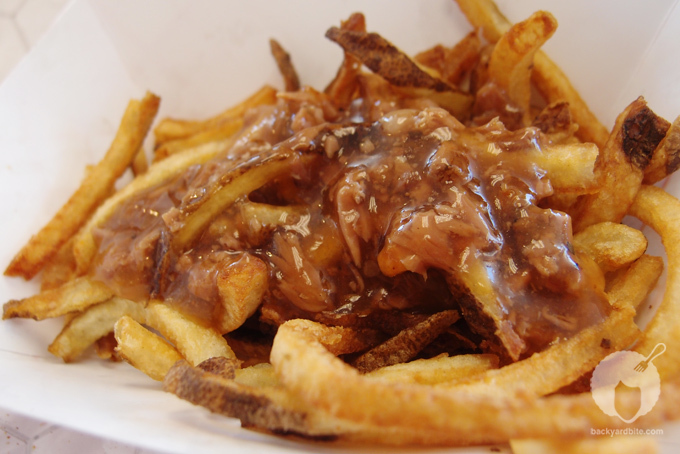 I tried the Bar-B-Cue Roast Beef Sandwich (fried onion & jalepeno straws, BBQ sauce, onion bun), the “Dirty” Fries (gravy, provel, caramelized onions & round sauce), a Pistachio Shake (simply wowsa! 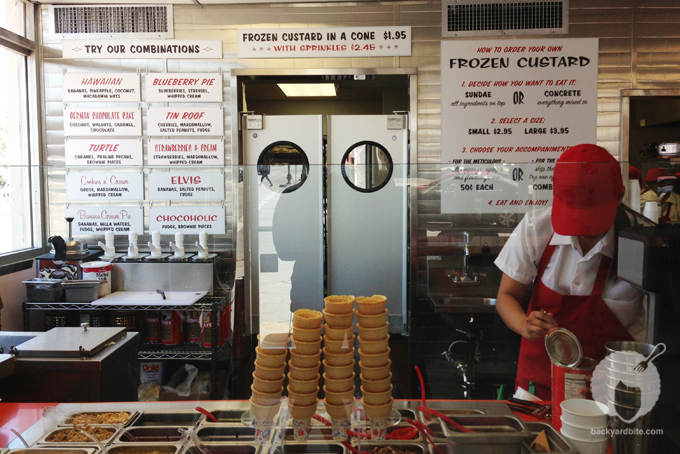 ), The Banana Cream Pie Concrete Custard (Bananas, Nilla Wafers, Fudge, Whipped Cream) and the Hawaiian Custard (Bananas, Pineapple, Coconut, Macadamia Nuts). 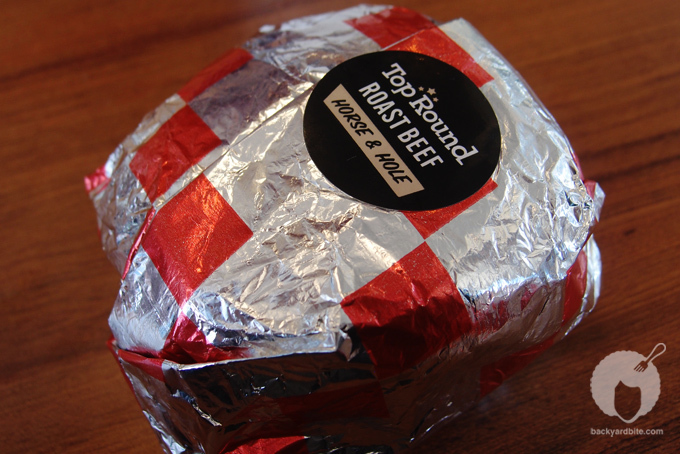 Top Round is not quite a Philippe’s or Cole’s French Dip, instead think of it as the In-N-Out Burger of roast beef. 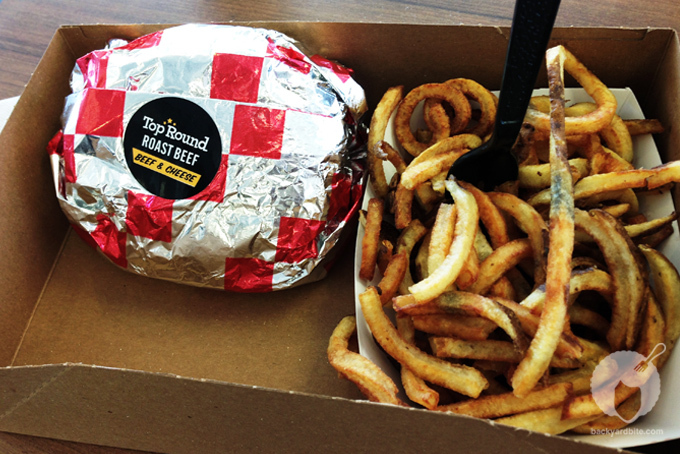 It’s fast food. It’s cheap. And it’s a fresh take on a classic American English tradition. 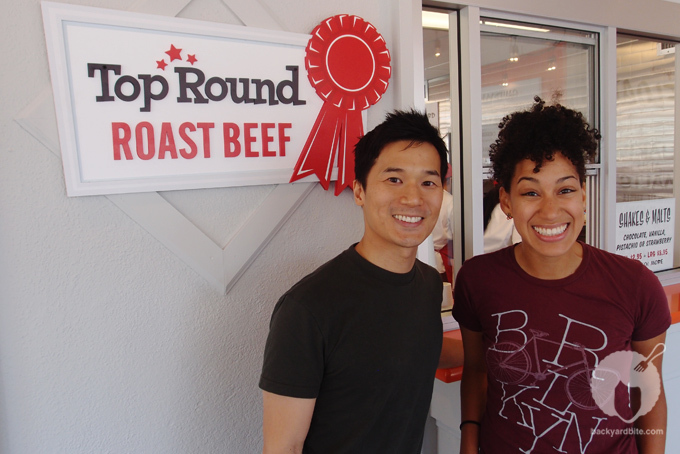 Here’s a video recap on Top Round I shot courtesy of Tastemade. 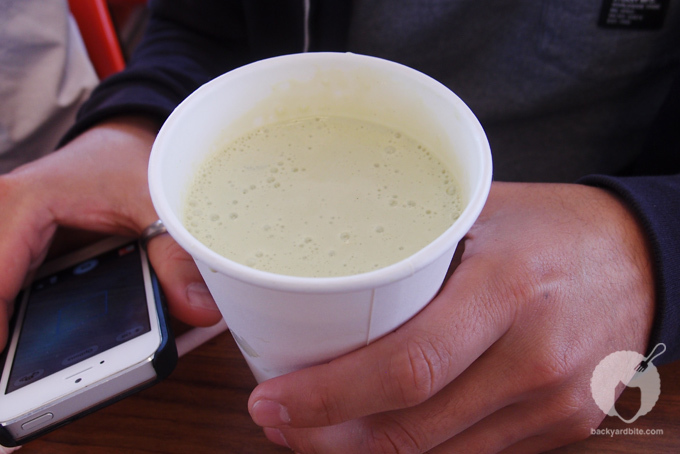 BYB Tip: Faves included the Pistachio Shake, “dirty fries” and Bar-B-Cue or Beef on Weck. 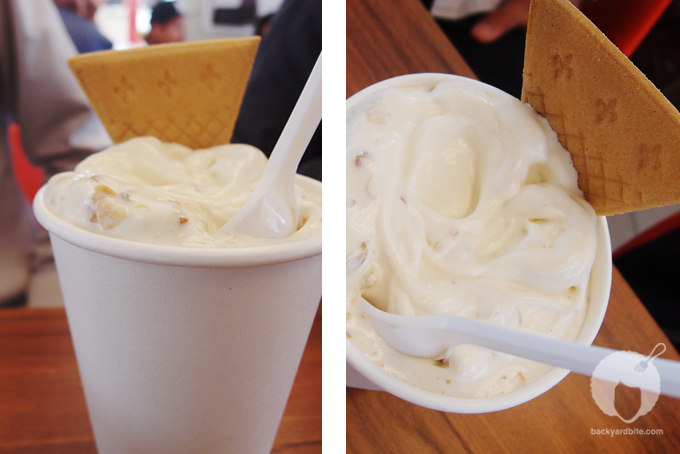 Oh my gosh, that looks fantastic. 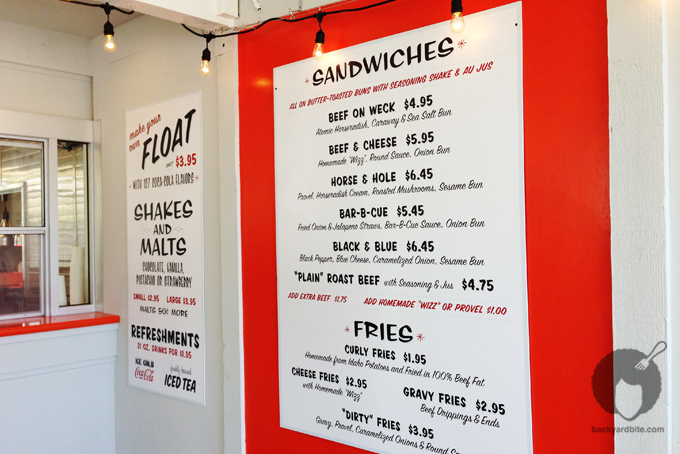 I have eaten a lot of roast beef sandwiches from some great places, but I have got to try this place my next trip west – thanks for the great heads up on the local joints!